In yesterday’s post we looked at two words that do not refer to eternal life, the word “salvation” and the phrase “Kingdom of Heaven.” This post we will look at two more. 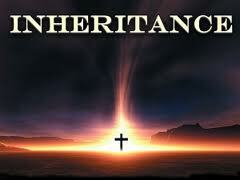 The Bible often talks about the Christian inheritance or what we can inherit as followers of Jesus. As this inheritance is almost always associated with obedience or a life of faithful living, people who think that our inheritance is the same thing as eternal life from God will get very confused about how to receive eternal life. But once we realize that our inheritance is something above and beyond the reception of eternal life, most of these passages become quite clear. Eternal life is a free gift of God to all who simply and only believe in Jesus for it. When we believe, we are adopted into God’s family and become His children. But God’s inheritance of honor, privilege, and recognition at the Judgment Seat of Christ is reserved for those children who live as Jesus lived and follow God’s will and ways for our lives. Just as rebellious and unfaithful children are sometimes written out of their parent’s inheritance in this world, so also, while God will never abandon or forsake His children, we can lose some of our inheritance if we fail to follow Him. The concept of rewards is almost identical to that of inheritance. Most people do not realize it, but the biblical teaching on rewards is one of the most prevalent teachings in the New Testament. The concept is everywhere. And much like inheritance, the biblical teaching on rewards often includes calls for faithfulness, obedience, self-sacrifice, and loving service. So if people think that when the Bible talks about reward, it is actually referring to eternal life, it is no wonder that people get confused about how to receive the free gift of eternal life. But again, just as with inheritance, as soon as we realize that there is a difference between a gift and a reward, all of those confusing texts make much more sense. Again, this way of reading Scripture is simply common sense. Nobody ever receives rewards for their birthday or for Christmas; we receive gifts. On the other hand, if you heroically rescue your neighbor from a fire, or perform excellently at work above and beyond what was expected, you do not receive a gift for your actions, but a reward. It is similar when it comes to Scripture and how God deals with us. Eternal life is a free gift of God’s grace. It is given simply because God loves us. Reward, on the other hand, is an added bonus or additional incentive God offers as a way to encourage faithful living and self-sacrificial love for others. Keeping this in mind helps clarify scores of New Testament passages. Maybe part of the confusion comes from seeing eternal life as a quantity of life that starts after death and not a quality of life that starts when we are born from above. For sure! Eternal life begins the moment we believe! Quantity versus quality. I love this simple and profound statement. Guilty as charged! I have learned a lot from these men and their books. Here is an excerpt from my favorite book on the subject. The Bible makes it clear that the bottom line for receiving rewards is obedience to God’s commands. In that light, there are certain things clearly commanded in Scripture that every Christian should endeavor to do and even to excel in. For example, prayer is commanded throughout the Bible. Romans 12:12 says, “Be…faithful in prayer,” and Colossians 4:2 says, “Devote yourselves to prayer….” Do not make excuses if you have a weak or even non-existent prayer life. Learn to pray. Another thing commanded throughout the Bible is giving and generosity. Christ complimented the widow who only threw two “coins” (about one dollar) into the treasury (Mark 12:42).84 Christ said she had given more than all the others he saw giving that day because she gave even though she herself was in need. Never be discouraged if you do not have much to give. Obey God and He will bless you. Romans 12:13 says, “Share with God’s people who are in need….” Obeying God with commitment and diligence promises great reward. On two occasions Christ used the phrase, “…great is your reward in heaven…,” when he was speaking of people who obeyed God (Matt. 5:12; Luke 6:23 and 35). 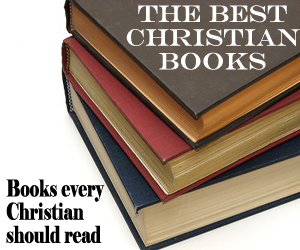 – Every Christian should desire to obey God in order to receive great rewards. This will involve finding out what the Lord wants done and then carrying through with it. This may not be easy; in fact, it may be quite difficult. To really obey God may involve significant changes in attitudes and behaviors, but this is why knowing about rewards is helpful. Confronting and overcoming weaknesses and shortcomings is worth it because change carries the promise of everlasting rewards. Few people have given up as much as Moses. He was a prince in Egypt. He had attained “the good life,” including good food, power, prestige, nice clothes, a couple chariots, slaves. He had a very posh lifestyle but gave it all up. Why? The Bible says he gave it up because he saw the reward in the future. Hebrews 11:24–26 (24) By faith Moses, when he had grown up, refused to be known as the son of Pharaoh’s daughter. (25) He chose to be mistreated along with the people of God rather than to enjoy the pleasures of sin for a short time. (26) He regarded disgrace for the sake of Christ as of greater value than the treasures of Egypt, because he was looking ahead to his reward. Moses gave up the good life because he “looked ahead” and saw that he would be rewarded in the Kingdom. Do not be shortsighted. All of us should look ahead to the reward we can have in the future and act in a way that will attain it. Personally, I am a failure most of the time. And when we start looking for “rewards” for our being obedient and faithful, we become like the cow who gives a good bucket of milk and then kicks it over. Our motives are shot to hell. For me personnally ,it has helped quite a bit. Here is another excerpt from the book to answer your question. Is it Necessary to Be Motivated by Rewards? There are many Christians who have never been taught about rewards in the future Kingdom, but who do the will of God for other reasons. Some are so convinced of God’s love that they are filled with thanksgiving and are motivated to love and obey God. Others obey God because they are convinced “it is the right thing to do” or “just because He is God” or “because they will be more blessed if they obey.” To some people, it seems more pure-hearted to obey God because of love rather than to obey in order to receive rewards in the Kingdom. Certainly love, thankfulness, duty, and being blessed are noble motives, and they are valid reasons to obey Him. Christians should love and obey God because He is God and because of all the loving things He has done for them. People are more blessed in this life if they obey God. But the bible teaches that God does promise rewards to those who obey Him, and those rewards are designed to be a major motivation for godly living. The things we Christians do, need to be done in love. It is possible to act out the requirements of the Word without any love in the heart at all. The Pharisees did that quite often. Scripture teaches that people only benefit from their actions when they are done with love (1 Cor. 13:3). It is important to understand, however, that the love of God is not just a “warm fuzzy feeling.” It is accompanied by godly action. In fact, a loving action sometimes is accompanied by no actual desire at all, other than the desire to do God’s will and bless people. Christ showed supreme love when he went to the cross, even though he had asked his Father repeatedly to take it from him. People usually appreciate it when they are treated with love and kindness. So too, God is appreciative of Christians who express their love for Him through obedience in their daily walk. But Christians cannot ignore the words in the Word. 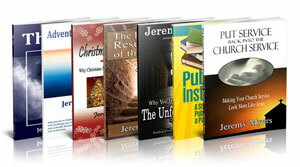 God made the rules and set up the entire system of rewards. Working to receive rewards in the future is not wrong—it is part of obeying God. Rewards in Paradise are designed to be part of the Hope that anchors the Christian’s soul. Knowledge of rewards keeps Christians from being blown outside the will of God by the storms of life or from drifting away from Him, lured by the attractions of the world. It would be nice if love for God kept Christians firmly on course all the time, but experience tells us that the realization of the consequences of disobeying God is often what it takes to help make decisions to stay holy and obedient. While it is wonderful to obey God simply out of love for Him, it is not wrong to see the value in obeying Him to obtain a reward. God did not have to mention rewards in the Kingdom, but He did. The fact that He speaks of rewards in verse after verse should speak loudly to those who are wise. 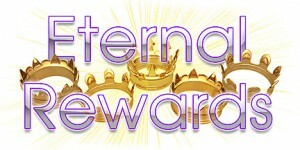 God wants to reward every believer richly, but He is just, so He will pass out rewards that have been earned. It is up to each Christian to be wise in his walk and obey our heavenly Father. Christians can be assured that obedience will be very much “worth it” in the end. Schoenheit, John W. (2004-01-01). The Christian’s Hope: The Anchor of the Soul (Kindle Locations 1833-1843). Spirit & Truth Fellowship International. Kindle Edition. Emilio, I have read many, many books on rewards, but not that one. It sounds good! NT Wright’s understanding is very interesting. He sees justification as being equivalent to being adopted into God’s family, and as you say is the start of everlasting life. This is on the basis of faith as Rom 5.1 says. He then attempts to understand other verses that speak of the final judgement being according to works whereby the believer inherits eternal life. e.g Rom 2.7. For him it is the Holy Spirit in the believer that creates the works. There is often a confusion therefore between these 2 justifcation events. The Bible sometimes talks about justification by faith and sometimes a final vindication by works at the final judgement. This is paralelled I believe by Abraham’s 2 justifications one by faith and one by works. Yes, I am intrigued by NT Wright’s understanding of Romans (and Paul in general). I am in nearly full agreement with Wright about Jesus, so I suspect that Wright has much to teach about Paul as well. I’d rather stick with what Paul says in Romans 4:4. Does Paul contradict himself then? Paul is quite clear that we are saved by God’s grace, through faith…alone. He s ays that in many places , in many ways. Paul then goes on to encourage the Christian to do good. Not that we will be benefitted in God’s eyes by our works, but that our neighbors will benefit from them. Why? What is the theological reasoning? Why would our good works cut us from the grace of God. I’m not saying your bible interpretation is right or wrong, I’m just asking for an explanation. Why would God punish good works by cutting of our grace? This is the Lutheran position of course. Lutherans tend to harmonise Paul by arguing that Rom 2.7 refers to a hypothetical group who would get eternal life by doing good if they could, but they cant. My problem with this is John 5 28-29 which says very much the same as Rom 2. 7-8. In this context there is no possibility that the group is hypothetical. Thus I conclude that there is a judgement at the end where God ‘will render to each according to his deeds’. Jeremy sees this last judgement as a place of reward. My problem with this is that it seems the icing on the cake and in no way the cake itself. But John 5.28-29 suggests that in some way works are effecting the salvation of the individual for eternal life and from eternal death. 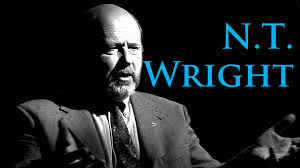 NT wright has attempted to resolve this by taking into account Scriptures that dont fit the usual evangelical models. Brian, talking about Luther, do you think he was a Rosicrucian? Many people have wondered about Luther’s Seal, a five petalled white rose with a red heart and black cross in it’s center? God has no problem with our works. Just when we think they merit us something. Because He has accomplished, on the Cross, all that is needful. I’m not explaining my question adequately. I understand basic Christian theology. I’m trying to ask why at a deeper level. Christianity presents us with a God who commands us to love our enemies, to forgive others as God forgives us, a God who died even for those who crucified him. It also presents us with a God who commands genocide, the death penalty for a whole host of transgressions, and who floods the world killing all but one family. So God, according to the bible, is a ruler who demands our obedience in moral and immoral acts backed by the force of law and terrifying punishment, yet by an administrative substitution our obedience is not necessary, yet remains a demand (for faith without works is dead). And finally, even thinking that our obedience has any merit is a punishable thought crime. My question is what effect all this is meant to have on the believer? None of this makes any theological, moral or spiritual sense to me. For me, God being infinite, is incomparably moral and calls us to imitate Him. As we attempt to imitate God we grow morally, our lives becoming ever more peaceful and harmonious with our environment, including other people. We learn form God how to live in the world, he is our father and teacher. We, being limited, finite creatures make many mistakes, but we are called to learn from them. God leads us, without expectation of perfection, calling us to ever higher levels of spiritual development. That makes sense. I can’t understand that you believe in an amoral God who switches between wrath and love, who stupefies the moral intellect and leads you to a place of complete helplessness. You are left knowing neither good nor evil – only obedience, like a slave, and like a slave your obedience has no reward. 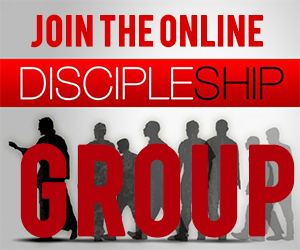 I am asking you to make theological, moral, and spiritual sense of your faith. Why? How on earth does it make sense? This question is not meant as an attack, it’s motivated by confusion, concern for your spiritual wellbeing, and concern about the violent elements within your belief system, that history has shown can be easily activated. People with beliefs the same or similar to yours have burnt people alive. I’m not sure what people you are referring to. There are always aberrations amongst any sinners. But the Christian faith does not demand that we kill anyone(lest in self defense or in war, protecting the innocent from evil, etc.). God is after faith, trust. He knows full well that we are incapable of living a selfless life and keeping His Commandments. But the obedience that He is after in us is not obedience to the law…but the obedience of faith. Trusting that He does love us and forgives us all our sin. And that He will be there for us in spite of all that we see in ourselves, or in the world. God is not like us. He doesn’t operate the way we do. His ways of grace and mercy for people who don’t deserve it for a second, are nothing like our ways. 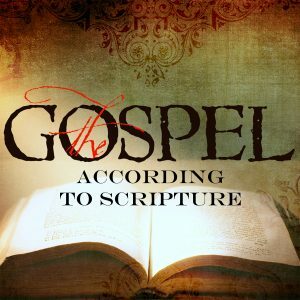 The gospel is so radically different than what we know or could imagine, that we never could have cooked it up. And we cannot come to faith in Him, or these alien ways, without the Holy Spirit creating faith in us through the hearing (really hearing it) of the gospel. And we need to hear it for a lifetime, because unbelief is our default position. “Americans who see the bible as their sourcebook on foreign affairs are already supporters of Israel. Religious fundamentalists are Israel’s “Amen Choir” and they make up approximately one-fourth of the American public” The Israeli Project, 2009. Okay, you say your God is after faith and trust: your Bible says your God is immoral, genocidal and violent. You talk about legal and faith-based obedience. Both are demands for obedience. The former is given grudgingly, the later given willingly. You are still required to obey. And that leads to your next point. God’s ways, you claim, are not understandable to us. Which means that obedience is not based on the recognition of wisdom, not based on understanding, and not based on emotional consent, you are required to have the blind obedience of a slave. My conformity to God’s will, in as much as I am able to conform, is based on understanding and intellectual and emotional consent. I consent with my whole being. And there is no fear of punishment for failure, because I have no concept of law and punishment. I consent freely. God’s way challenges me, but is comprehensible. You cannot follow God without your heart and mind. The only person who would demand our blind obedience is a tyrant. This is the God you trust. I look at Christian history, I look at your beliefs. and I am horrified. Christianity is a religion that has been spread around the world by force. How can you pledge your blind obedience to an amoral God? Hamas has stated, and in writing that they wish to destroy Israel. And they fore thousands of rockets indiscriminately into Israel…and you would have Israel do nothing about it? I see what I am dealing with now. You are free to have any kind of a God you want. Have a nice life. ““Americans who see the bible as their sourcebook on foreign affairs are already supporters of Israel. Religious fundamentalists are Israel’s “Amen Choir” and they make up approximately one-fourth of the American public” The Israeli Project, 2009. My previous comment was a harsh criticism of Christian morality and the morality of your God; it was meant to be challenging. Your response ignores all that. Instead it is Israel that you defend — by repeating an Israeli soundbite bite. You just proved the validity of my argument, that Christians lack a coherent sense of morality and are ideologically driven. having said that I have read Christians who maintain their moral compass. Those Christians I hope to meet, to understand, to enjoy learning from and want to discuss Christ with them, incase I am being too hasty in my rejection of him, for he remains an enigma to me. Ideological Christians on the other hand are dangerous. That you have defended Israel and not your God shocks me. May God lead us both to better understanding and greater spiritual maturity that we may follow His ways. May we both reflect on this conversation, and see ourselves as the other sees us, that we may more easily approach God with humble hearts and be led by His wisdom. may the incomparable morality of God be an inspiration to our hearts and minds. The talk in the Bible of rewards is ‘rabbinic hyperbole’. What a great article, and a rather interesting discussion. We used a similar concept to explain it to our kids: entry to heaven is free, if you do something God wants you to do, and no person says thank you, then God says thank you, and there’s another jewel in the crown that you get to give to Jesus once you’re in heaven (the crowns we throw down before the throne). Oh, and there’s feasts, ‘well dones’ and all the rest, but the crowns were what grabbed the imagination of small children. That whole area of gifts and rewards is fascinating anyway, in that it can often reveal the underlying subculture of the people doing the discussing. For some people, the concept of a free gift is far away from anything they ever experienced. For others, it’s the idea of a reward for something well done that’s mind blowing. 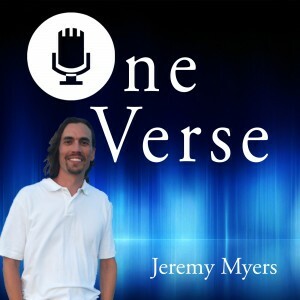 Thanks, Jeremy, for another wonderful article. Jeremy, you raise a fascinating point about the nature of these rewards. I rejected the teaching of eternal rewards after holding the GES position for many years. The ironic thing, however, is that it was by studying the early Greek Philosophers, especially Aristotle, that I realized that maybe the concept of rewards really is a metaphor for the internal reward we reap when we live a life of virtue (their words) or sow to the Spirit (Paul’s words). Then, the life we’ve inherited in the here and now, follows with us to ‘eternal life’ (1 John 2:17). I appreciate your emphasis in this series. I think your original premise, that we have looked at the Bible through a “life-after-death” colored pair of spectacles is exactly correct.